When I did my post about my other camera (Canon EOS 700D) the only downside I didn't mention was the size. Obviously it's not a camera you can pop in your pocket and take with you easily. So during Christmas, or it might have been just after - Argos had a sale on so I decided to treat myself to a nice little camera that I could take out with me when I was going a quick walk or keep in the car in case I went somewhere so I could snap some pictures. I also thought it was a good idea if I started to vlog. So I think the main selling point of the camera is that its compact, small, sleek and fits in your pocket - which this camera ticks all of these boxes and more. It also has WI-FI and NFC capabilities which makes it really easy to share pictures wirelessly from the camera which is a plus in my books as I like to keep it as easy as possible. For such as small compact camera I expected the zoom quality or something else to be sacrificed for the smallness of the camera - but the zoom is really good. With my old camera the more you zoomed out - the worse the quality got - I will be honest I have not tested the zoom as much as I have wanted to, however after playing around with it for a little bit I did not notice any drastic deterioration when zooming out. Another good idea Canon have come up with is quick shooting - I will admit many times have I wanted to video something but I've had to switch the camera on, switch to movie option, then hit record. 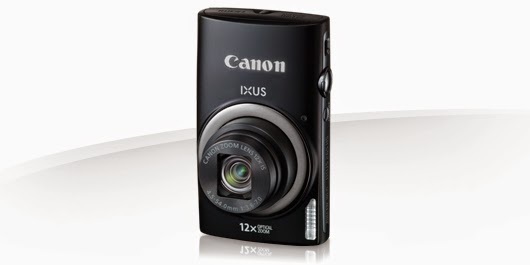 This camera ignore all that (well some of it) all you do is switch on and press the record button and your recording 1080p video. So really pleased with that feature. So I would highly recommend this camera to any of my blogger friends as it's great to take out with you or pop in your bag and is quick to turn on meaning you won't miss a picture or video chance. Let me know in the comments if you have it or if you are thinking of getting it.